Today we launched beta.wufoo.com – a new area where you will see us introduce new features & designs that you can try out and provide feedback before we release into the main product. The first item we have released in beta is a new Form Manager experience to help you better manage all the forms in your account. The goal of our beta site is to provide a seamless way for you to try out new features without leaving the comfort of your account. You can easily opt-in or out of beta via the Account menu. All of your content will work no matter what version you are using – be it the Beta or regular site. We hope you’ll hang around the beta site and give us feedback on what you like and what you think we can improve upon. Note that only Account Owners will be able to opt in or out of Beta, so be sure to ask your Account Owner to opt in! Once the Account Owner opts in, all users will be able to enjoy the new Beta experience. To kick things off, we are introducing a new way to manage your forms – one that is modern, intuitive, and flexible. Over the years, we have received lots of feedback that has helped us build out this new experience and we hope you enjoy it. Rather than a big reveal, we are taking a more deliberate approach to releasing this and other new features that will allow us to iterate and engage. And more importantly, it allows us to collect valuable feedback from you–our users. Tell us what you like, what can be improved, how the beta changed your life, and any other suggestions! We are here to listen. 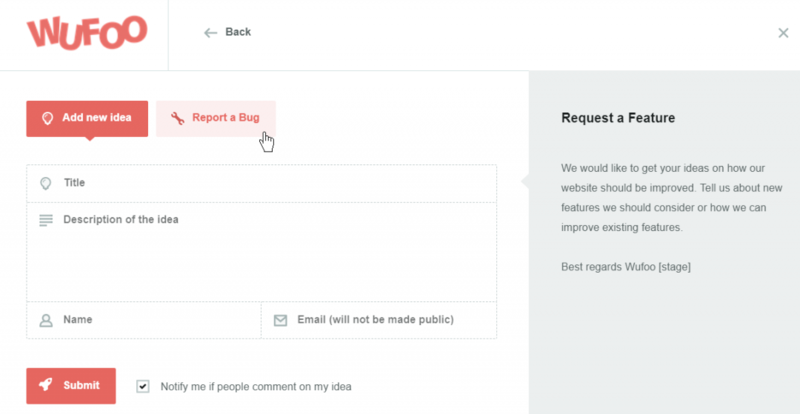 You can share your thoughts by selecting Feedback in your Account menu and selecting New Idea or Report a Bug tabs. This is also how we will address any support related questions for the beta. Participating in the beta is optional but we hope you will give it a try. 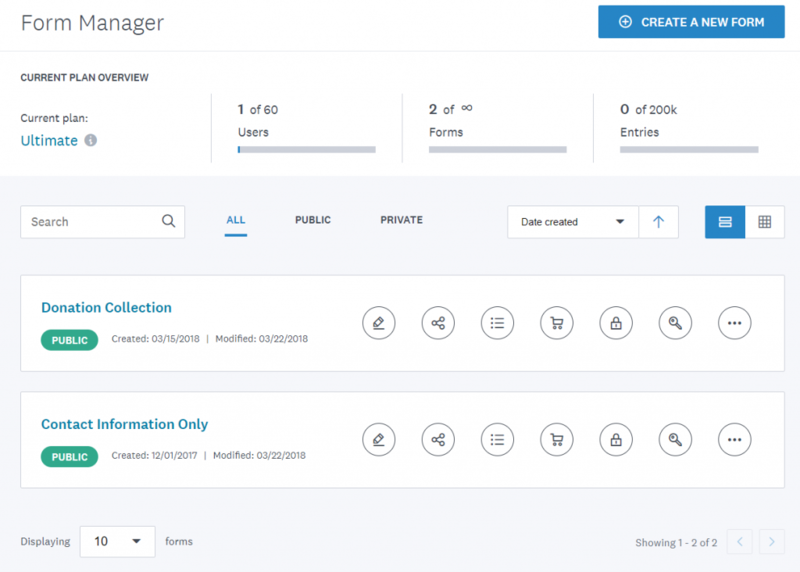 Once you opt in, you will see a brand new Form Manager experience. Give it a spin and let us know what you think! You can use this experience for as long as you like and if you want to flip back to the current version, you can do so by going to the same Account area and selecting Leave Beta. No matter what version you use, all your forms, entries, and data will be the same. We hope you enjoy using the new Beta and look forward to hearing your thoughts!